Long term restraining orders granted as part of a criminal domestic violence conviction. Will this law really protect the children? The good news is that domestic-violence victims throughout California will be able to obtain long-term protective orders the instant their assailants are criminally convicted, rather than endure a multi-step process that can drag on for months. This new law will take effect January 1, 2012. Currently, acquiring protective orders would entail filing a separate domestic violence restraining order request in the family law or civil courts. The new state law rectifies a situation that has long troubled advocates against domestic violence. It is not an uncommon occurrence that after a batterer is convicted and released upon completion of their sentence, the batterer would resume stalking or harassing the victim. Until the advent of this new law, criminal restraining orders issued by a criminal court at the inception of a criminal domestic violence case would automatically expire at the conclusion of that case. This flaw in not providing a continuous shield of protection for a victim trapped the victim between two agonizing choices: does the victim take their chances when the jail release date comes that the abuser might leave them in peace or should they expose themselves to the risk of additional abusive conduct by engaging with the batterer again in filing and serving court papers for the civil restraining order? District attorneys in Santa Clara County championed legislation for the concept of an automatic post criminal conviction restraining order and got the backing of both legislators and the California District Attorneys Association. Sen. Fran Pavley, D-Agoura Hills, tendered the bill and the Legislature passed it unanimously, Gov. Jerry Brown signed it in August and, as stated earlier, the law went into effect January 1, 2012. Starting next year, once the assailant is convicted, a judge can impose a protective order for up to 10 years, whether the underlying charge is a felony or a misdemeanor. There are two kinds of orders: one excludes any contact at all with the victim; the other that allows limited “peaceful contact,” between the abuser and the victim including the dropping off and picking up of children. This new law is a huge improvement, but it does not fully address the dangerous ambiguities stemming from a court order allowing for “peaceful contact” for child custody and visitation. To really ensure proper personal protection and protection of the children, a victim must seek orders from a family law judge so any timeshare and restrictions with children are clearly spelled out in a parenting order. Based on the kind of abuse suffered by a victim, it may be necessary to get family law protective orders preventing or limiting the batterers contact with the children. Restraining orders are not ironclad guarantees of safety. But batterers who violate the terms of such orders can face further arrest and prosecution. One of the most effective restraining order coming from the civil courts is the CLETS restraining order. CLETS is an acronym standing for California Law Enforcement Telecommunication System. CLETS is a high-speed message switching system which became operational in 1970. 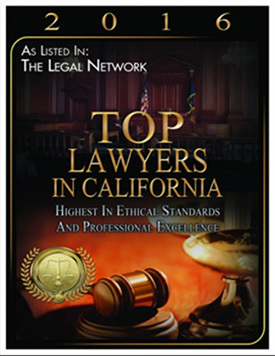 CLETS provides law enforcement and criminal justice agencies access to various data bases and the ability to transmit and receive point-to-point administrative messages to other agencies within California or via the National Law Enforcement Telecommunications System (NLETS) to other states and Canada. A California CLETS order is a restraining order that is issued by a family law judge, lodged in the CLETS database and allows the police to arrest the abuser if the abuser violates that order. For example, if the abuser is prohibited from contact with the victim or must follow specific requirements of permissible contact and the abuser violates those orders, the police can arrest and take the offender to jail. A non-CLETS restraining order requires that the victim return to court to ask the judge to take action against the abuser. CLETS orders can be tailor-made to any given situation and can deal with custody and visitation contact with the children. The actual forms used in California are uniform in nature and law enforcement officers receive training on reading and implementation of CLETS orders. It always is a wise idea to consult with a skilled family law attorney to review your legal options concerning civil restraining orders. The more information you have will only aid you in making the best decisions thereby protecting you and your children.